Family law is complicated and it varies from state to state. Residents of Maryland should contact a divorce attorney who has an in-depth knowledge of that state’s particular regulations regarding family law. At a family law office in La Plata, you can receive confidential advice for your case and learn whether you have grounds for a limited or absolute divorce. Under Maryland law, a limited divorce is not truly a divorce. Rather, it’s a legal separation that is supervised by the court. If you are granted a limited divorce, you will still be legally married to your spouse; however, the two of you will live apart. As your divorce attorney can explain to you, a limited divorce entails the complete avoidance of sexual relations with your spouse. If you have sexual relations with another person, it is considered adultery. Your family law attorney may recommend that you seek a limited divorce if you do not yet have grounds for an absolute divorce and you need certain issues resolved. For example, a limited divorce decree can resolve matters pertaining to finances, property possession and division, child custody, and even health insurance coverage. If you and your spouse decide in favor of reconciliation during a limited divorce, the court can revoke the divorce and the two of you will still be legally married. An absolute divorce dissolves the marriage. 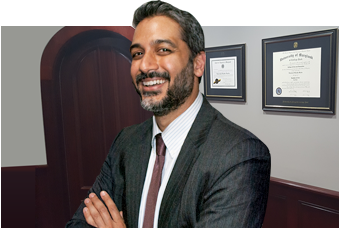 Your divorce attorney can help you understand the absolute divorce decree, which will establish child custody, alimony payments, child support payments, and the division of property. Your divorce attorney may negotiate with your spouse to divide the marital property in a manner that is mutually beneficial. Or, the court may decree that jointly held property should be sold and the proceeds divided. One commonly used basis for an absolute divorce in Maryland is a legal separation, or limited divorce, that lasts for 12 consecutive months. Depending on your particular circumstances, you may have grounds for an absolute divorce that will enable you to bypass a legal separation. These include adultery, cruel treatment, and desertion.